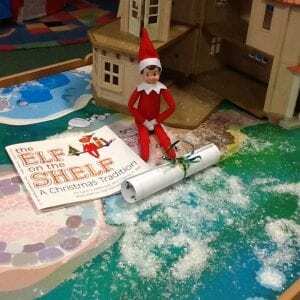 We had an unexpected visitor in the classroom today – an elf! 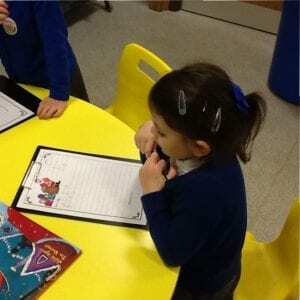 He had a letter with him explaining that Santa had sent him to make sure the children in Reception were behaving well. 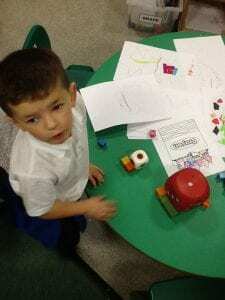 He flies back to the North Pole each night with the news for Santa. We had a big discussion about how we need to behave and treat others if we want to stay on the nice list! 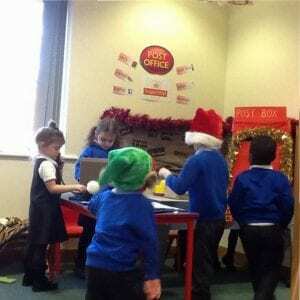 we have changed our role play area ready for Christmas and the children have been loving it. 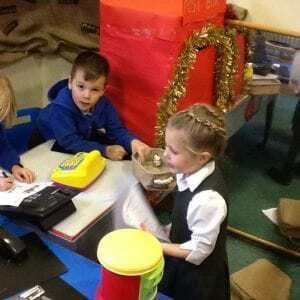 We have had letters written to Santa, stamps added to our post, used envelopes and played co operatively with each other. 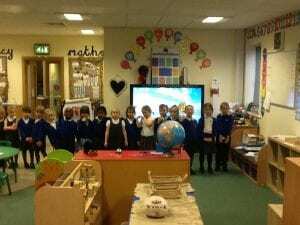 These lucky children used their manners and ate all of their dinner so as a treat they were allowed to eat at the captains table the next day! 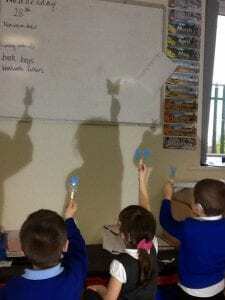 We explored with torches and then made shadow puppets and played with them! 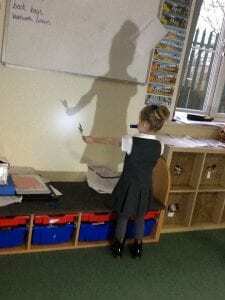 The children were challenged to find shadows outside and at home too. 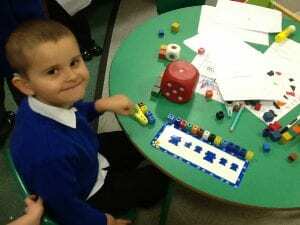 We have been measuring items in the classroom using cubes. 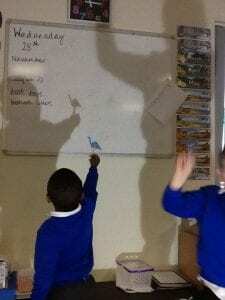 Then we found a second item and decided which was longer/taller. 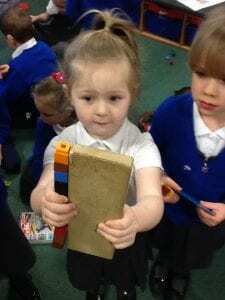 After that we were measured and ordered ourselves from shortest to tallest! 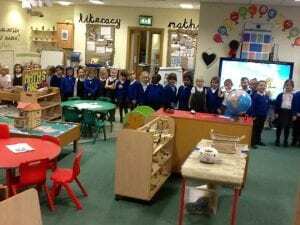 We know who is the tallest/shortest in our class.